Genesis, Mike Rutherford, Shergold Twin necks. There's no question regarding how big Genesis were in their time and it's no wonder there are a number of Genesis tribute bands today with fans eager to relive the songs and lavish stage shows. Back in the '70's equipment wasn't what it is today, nowadays there a foot pedals that will mimic a myriad of sounds and effects with a simple push of a switch but quite simply you can't beat the visual treat of seeing some of the gear that bands used years ago. 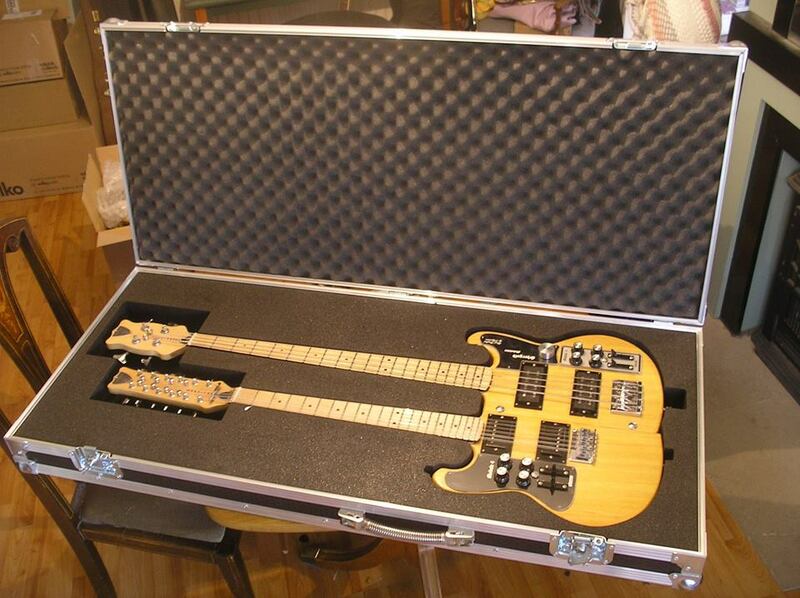 For me one of the iconic features of Genesis was Mike Rutherford's Twin neck (bolt together) Shergold guitar. 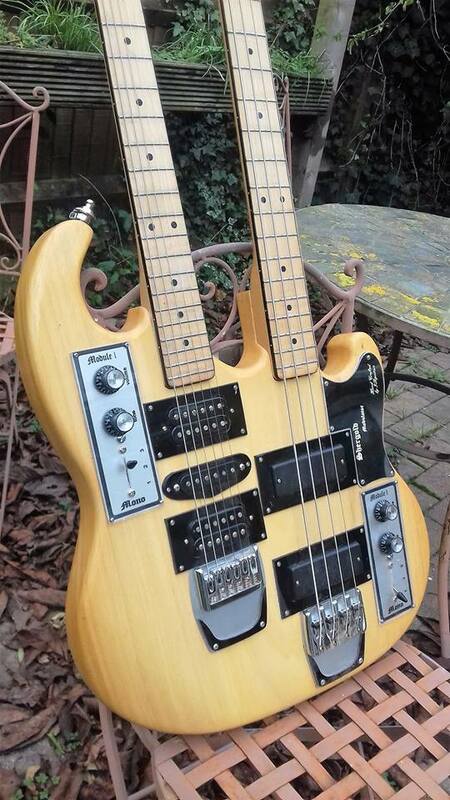 Who in their right mind would make a bolt together guitar! 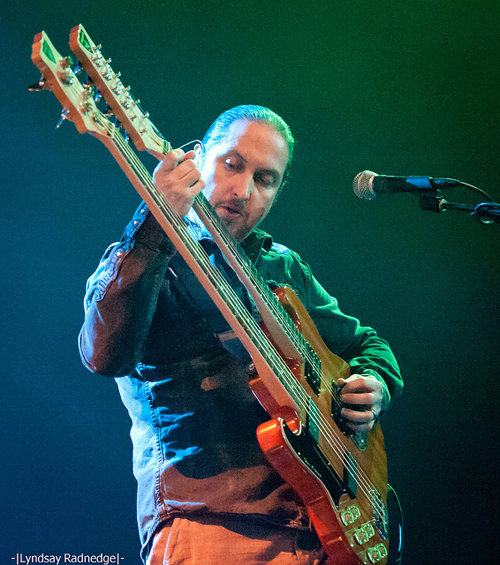 12-string/bass, 12-string/6-string and 6-string/bass not to mention being able to be assembled as single neck guitars....A kinda Swiss army knife guitar! To date I've been asked to build four of these, the first for Lee Pomeroy and the Steve Hackett Genesis Revisited world tours and Steve Meston, Genesis tribute band I Know What I like. 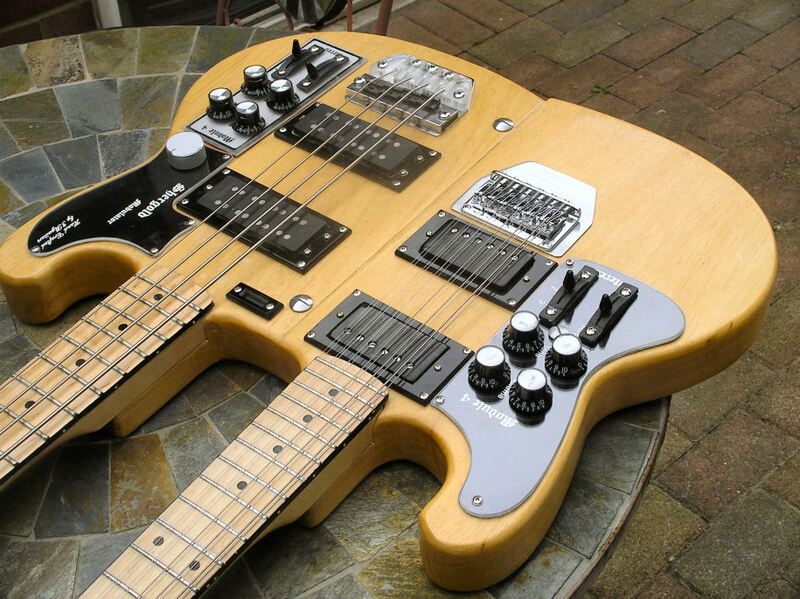 Click on the pictures below to see build pictures of these guitars. ...And another, this one went off to Giovanni Govoni in Italy. It was a real pleasure working with Giovanni to build this. so it was all the plastic, hardware, wiring and generally making everything fit. This one is for the Genesis tribute Visible Touch take a look at their fb page.